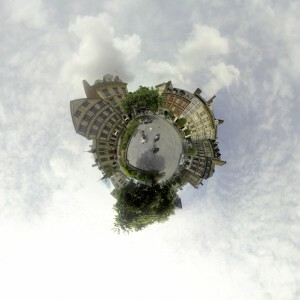 Rouen Seine Cité is a new landscaped, urban, and environmental composition in the heart of the metropolitan area. It combines 3 major operations around the historical city centre of Rouen and the lively quays of the Seine, in order to renew the Normandy capital attractiveness. This eco-city, which includes the creation of new eco-districts, Luciline Rives de Seine, Flaubert and Saint-Sever Nouvelle Gare, meets the challenges of developing innovative activities and the superior service sector, as well as the inhabitants’ needs regarding housing and services, in a progressive and complementary way. It redefines the metropolitan and economic centre of Rouen supported by: the restored and lively quays of the Seine, the density of the population and company services, the fabric of large jurisdictions and companies, and finally its great public transport accessibility. 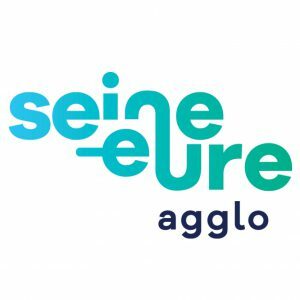 Rouen Seine Cité is based on a great innovative and environmental aspect which is verified by the Eco Cité Label, the Future Investment Program, the Eco District Label and the support of the European Union. 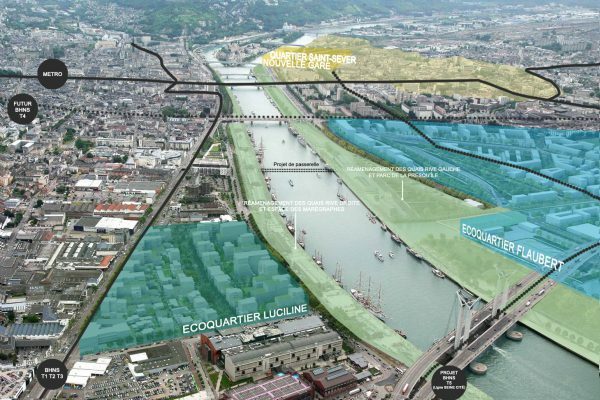 This global dynamic on the Rouen Seine Cité level, combined with other projects such as Coeur de Métropole (renovation of public areas of the historical centre of Rouen), should allow the city to head back toward the Seine and to make the river the joint address of those districts. More informations, contact us !